Heeft u een vraag voor Cheng Ho Residence? Of u nu een toerist bent of een zakelijke reiziger, Cheng Ho Residence is een uitstekende accommodatie tijdens een bezoek aan Malacca. Vanaf hier kunnen gasten genieten van eenvoudige toegang tot alles wat de levendige stad te bieden heeft. Dankzij de praktische locatie liggen alle belangrijke trekpleisters in de buurt van het hotel. Bij het Cheng Ho Residence staan de excellente dienstverlening en superieure faciliteiten garant voor een onvergetelijk verblijf. Gasten kunnen gebruikmaken van hotelfaciliteiten als dagelijkse schoonmaak, wi-fi in openbare ruimtes, parkeerplaats, familiekamer, restaurant. Alle accommodaties beschikken over doordachte voorzieningen om een ongeëvenaard gevoel van comfort te garanderen. Daarnaast garanderen de talrijke recreatieve mogelijkheden dat u zich tijdens uw verblijf kunt vermaken in het hotel. Wat de reden van uw bezoek aan Malacca ook is, het Cheng Ho Residence is de perfecte keuze voor een enerverende vakantie. Stayed just 1 night as a weekend getaway. Quite hard to find if you're not looking out for the place. We circled the same road 3 times before finding it. 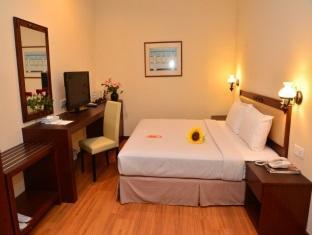 Location is good and convenient - very close to Jonker Walk, a shopping and food hotspot. Parking available behind the residence. Clean and quite a new guest house. Staff were friendly. Check-in and out was quite fast. Overall was a good stay. i pay rm180 include breakfast but food not serve nice. We dont eat vegetarian vermicelli prefer nyonya vermicelli. Prefer a basic western foods, nasi lemak, nyonya kuih muih, nyonya crispy popiah, fruits, coffee maker - melaka coffee. Steam eggs. Halal. Pros: - staff were friendly and helpful, acceded to our request of getting a room on the ground floor as my aunt has mobility issues. They allowed us to check out slightly later at no extra cost too. - this is one of the few hotels in the area with rooms for 3 pax, most of the other hotels in Jonker area had twin rooms only. 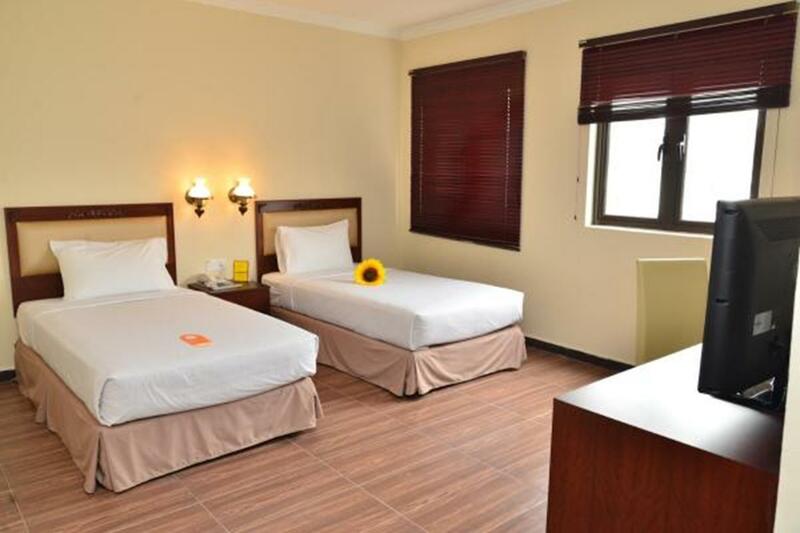 - the room was more than adequate, toiletries were sufficient and the air conditioning was strong enough - no deposit needed - location is great as it is only a lane away from Jonker street and is located opposite the two Peranakan museums as well as a smattering of cafes and small restaurants. Cons: - the toilet layout is abit strange as the sink is located at the shower area. - the breakfast spread was fair for the price (noodles and one or two side dishes) but you have to get there early as the fruits, side dishes and milo are not topped up. Overall, it was a great stay for our short trip. The breakfast place was so dirty - unclean ashtrays, ash on the floor. No internet in room and the router was just around the corner I don’t know how?! Good location and nice staff. For the price this place is very good, breakfast was Asian, not much choice but it was very good and more than enough. Shower spayed on the toilet and the WiFi did not work for us in the room. But hey, for $50 per night with breakfast it was great. Position is fantastic. Friendly staffs, morning serves Malaysia light b'fast (1st come 1st serve), big family room with refrigerator, clean room with high water pressure, company front signboard name Cocoa Herritage and selling cocoa products & coffee at lobby. very well located the hotel with friendly staff! definitely recommended. if you are driving, please get the hotel staff assistance to look for their parking which is located at the back of the hotel where you need to drive another round to the back to look for it. worth the money, and the moment you walk out of hotel, you are in Jonker's main street already! 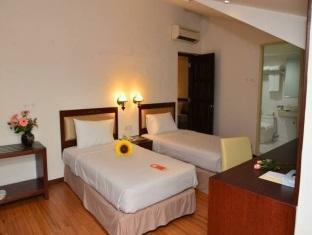 The hotel is located just behind Jonker St, 2mins away from the famous Geographer Cafe. Breakfast was served at the hotel close by (1min walk), but there're so many food to choose form. Room was clean and well-equipped.